Improve the signs of aging, without expensive procedures or multi-product collections. 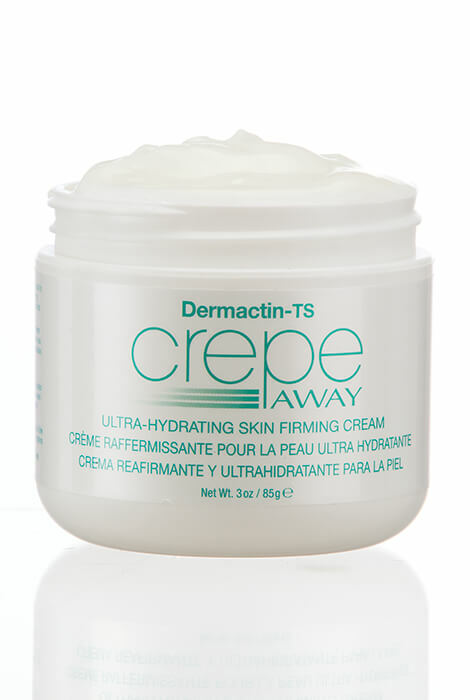 This ultra-hydrating skin firming cream is formulated with elasticity-stimulating ingredients to rejuvenate dry, crepey, mature skin. Moisturizing ingredients plump and firm skin cells to restore a more youthful look. Use 2-3 times per day on desired areas, including the neck, chest, arms and legs. 3 oz. Apply 2 to 3 times a day to desired areas... in the morning and in the evening just before bedtime. Make sure skin is clean and dry before applying. Apply sparingly to the skin, massaging in a circular motion until the product is absorbed into the skin. Can be used alone or before applying cosmetics. Water/aqua/eau, Glycerin, Butylene Glycol, Cyclopentasilox- ane, Cyclotetrasiloxane, Phenoxyethanol, Polyacrylamide, Hydrogenated Polydecene, Urea, Cymbopogon Schoenanthus Oil, Ethylhexylglycerin, Parfum, C13-14 Isoparaffin, Acrylates/c10-30 Alkyl Acrylate Crosspolymer, Bht, Disodium Edta, Sodium Pca, Tocopheryl Acetate, Caprylyl Glycol, Sodium Hydroxide, Laureth-7, Propylene Glycol, Diazolidinyl Urea, Salvia Officinalis (Sage) Leaf Extract, Beta Vulgaris Root Extract, Cichorium Intybus Root Extract, Cucumis Sativus (Cucumber) Fruit Extract, Daucus Carota Sativa (Carrot) Root Extract, Glycyrrhiza Glabra (Licorice) Root Extract. First time to use it. At 61 I'm sure it's past time!